Looking to play a race of gentle easy going mentality, where combat can be solved with as little bloodshed as possible? Want to have a race that where a lack of speed and urgency is instead replaced with a big heart and durability? ...Wanna be an oversized happy-go-lucky slug? 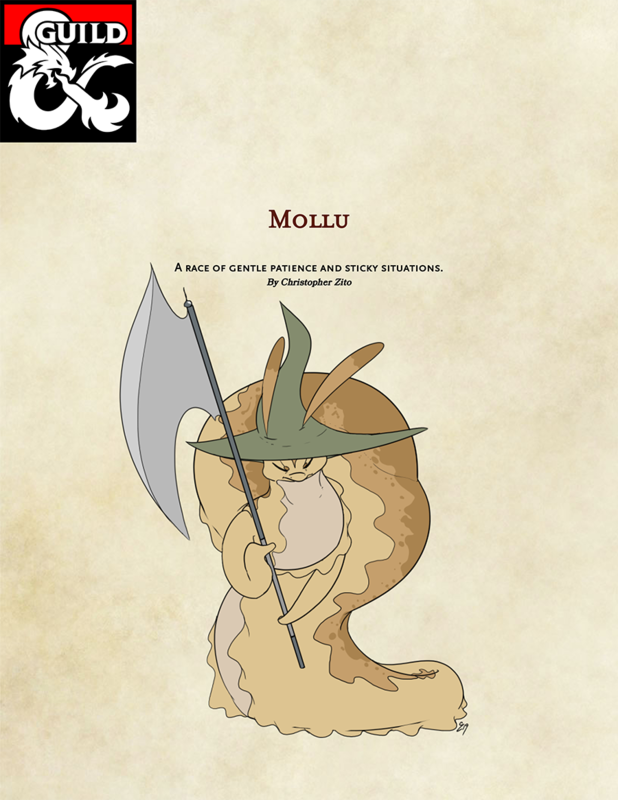 Then the Mollu might just be what you're looking for!